A mixture of City scenes, desert, mountains, flowers, and emotional connections to put on your home or office wall. 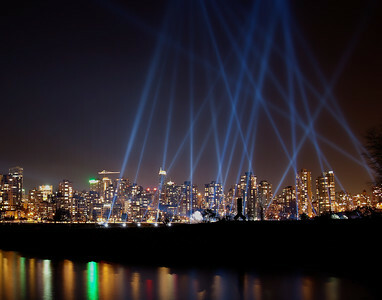 Taken during the 2010 Winter Olympics in Vancouver, BC. 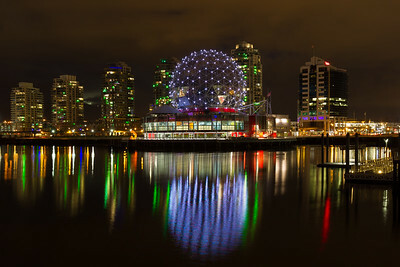 The lights of Vancouver Science World reflect off the False Creek inner harbor. 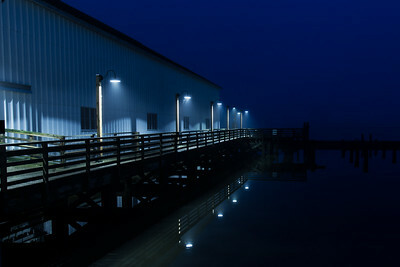 Steveston BC old dock area. A different view of the Muttart Conservatory pyramids with bright pink lighting. Yet another angle of view of the Muttart Conservatory with changing colors. This old truck goes well with the old Hotel at Fort Edmonton. 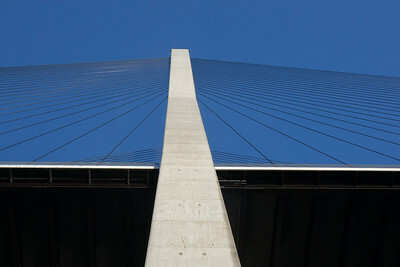 The Alex Fraser Bridge from below. 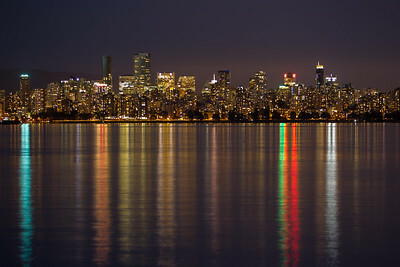 The marina in Vancouver is near Stanley Park shows the North Shore mountains in the backgroung. Growing up through and around the rusted farm equipment. 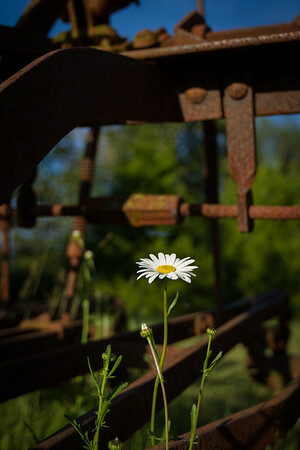 This daisy is growing up and around the old rusty farm equipment. 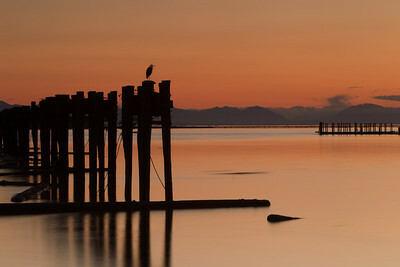 This sunset scene includes background mountains and a lone crane atop pier pilings. 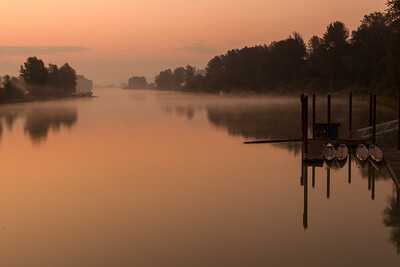 Sunrise scene on the river with dock and canoes. 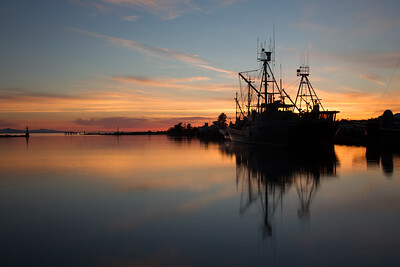 These two fishing boats are tied at the pier as the sunset marks the end of the day. The Glades is peaceful and beautiful. The Glades also provides places to stop and enjoy the peace and quiet. The Glades waterfall fills a small pool and the green brightens everything. 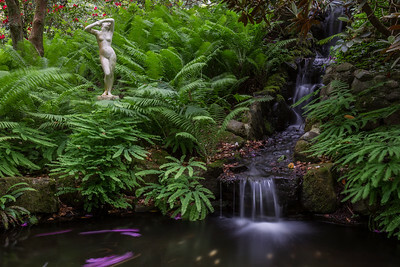 This small waterfall in The Glades offers another peaceful place to spend time. The path at The Glades leads you through trees and flowers. Cliff Park near Maple Ridge BC is a great place to hike and take photos. The action of the water creates swirls and colorto the scene. Another view of the Cliff Park waterfall near Maple Ridge BC. 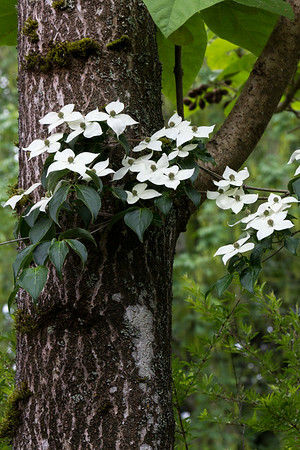 This white flowering Dogwood is finding it's way to a tree of another kind. The green leaves compliment the blue sky quite nicely.